Cluster Fly Spray and Powder offer long-lasting residual Cluster Fly Control! 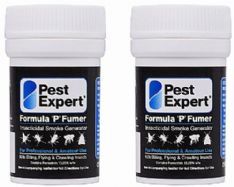 Pest Expert Formula ‘C’ Cluster Fly Killer Spray and Formula ‘P’ Cluster Fly Killer Powder form an integral part of any comprehensive cluster fly eradication strategy. 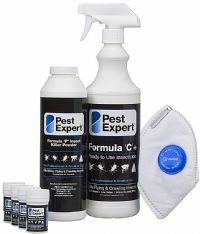 As eliminating potential entry points is virtually impossible and any attempt very costly, cluster fly treatment should always include pre-emptive measures to kill cluster flies attempting to re-enter your property after fumigation with Formula ‘P’ Foggers or Smoke Bombs has killed the original colony. 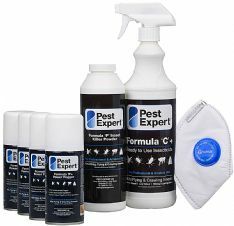 Both Formula ‘C’ Spray and Formula ‘P’ Powder hold residual value as insecticides, representing an on-going pest control process, continually killing cluster flies as they make contact either through entry into your home or while inside, allowing for maximum population suppression. Both products are ideal for applying to alighting surfaces, window frames, wooden beams and walls. 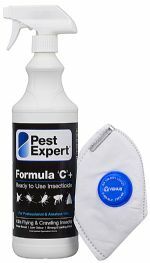 Formula ‘C’ contains the powerful insecticide cypermethrin, set at the legal limit, which has a fast-acting knockdown effect and will help maintain cluster fly control for up to 3 months. 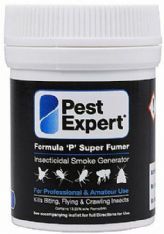 The Pest Expert Formula ‘P’ Powder contains the synthetic pyrethroid insecticide permethrin, perfect for use around electrical points or at possible entry points in window frames, ledges and wooden beams. 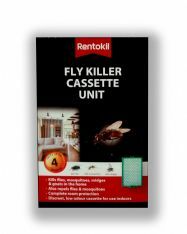 Both these products represent the most powerful cluster fly killing residual insecticides available on the amateur market and are the perfect complement to our market leading fumigators in dealing with your cluster fly infestation.